If you’ve used Horizon View over the last few years, then you would’ve almost certainly come across linked-clones. Linked-clones use a parent image, called a “replica” that serves read requests to multiple VMs and writes in each desktops are captured into their own delta disk. They can also be used to change desktop update methodology, instead of updating every desktop you can update the parent image and recompose the rest of the desktops. Horizon 7 has introduced a new method of provisioning with Instant Clones. Instant Clones are similar to Linked-Clones in that all desktops read from a replica disk and write to their own disk, but Instant Clone takes it one step further by doing the same with the memory. Instant Clones utilize a new feature of vSphere 6 where the desktop VMs are forked off a running VM instead of cloning a power off VM, which has savings for provisioning, updates and memory utilisation. Just like with linked-clones, with Instant Clones you start with your Golden Image. This is the VM you install the operating system on, join to the domain and install any applications you want for all users. Follow the same OS optimisations you would for Instant Clones. When you’re done, release it’s IP address, shut it down and create a snapshot. Now you are ready to create your Instant Clone pool. This VM should have VM Tools installed, and the Horizon Agent with the Instant Clone module. It is NOT possible to have the Instant Clone and Composer modules co-installed, so you will always need different snapshots if using Instant Clones and Linked Clones from the same golden image. Reservations can be set on the Golden Image and they will be copied to the Instant Clones, reducing the VSWAP file. An important thing to note is the Golden Image must be on storage accessible to the host you are creating your Instant Clone desktop pool on. When you create your pool, Horizon will create a Template. A template is a linked-clone from your Golden Image created on the same datastore as the Golden Image. It will have the name cp-template and will be in the folder ClonePrepInternalTemplateFolder. The disk usage of these are quite small, about 60MB. There will be an initial power on after the Template is created but it will then be shutoff. Next Horizon will create a Replica. This is the same as the Linked-Clone replica. It is a thin-provisioned, full clone of the template VM. This will serve as the common read disk for all of your instant clones, so it can be tiered onto appropriate storage through the Horizon Administrator console the same way it was done with Linked Clones. Of course if you are using VSAN there is only one datastore so tiering is done automatically. Horizon will also create a CBRC Digest file for the replica. The replica will be call cp-replica-GUID and will be in the folder ClonePrepReplicaVmFolder. The disk usage of the replica will be depend on how big your Gold Master is, but remember it’s thin provisioned and is not powered on, so will have no VSWAP. 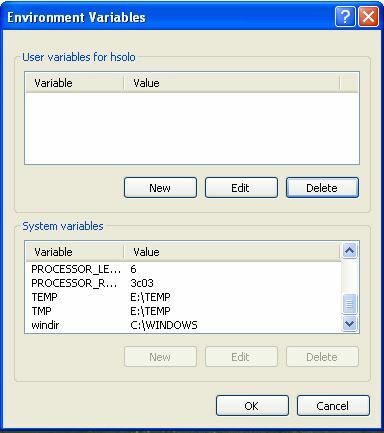 Now Horizon will create the final copy of the original VM, called a Parent. The parent is what is going to be used to fork the running VMs. The parent is created on every host in the cluster (remember we are forking running VMs here, so every host needs to have a running VM). These will be placed on the same datastore as the desktop VMs, there will be one per host, per datastore. Because these are powered on, they have a VSWAP file the size of the allocated vMEM. In additional there will be a small delta disk to capture the writes booting the parent VM and the VMX Overhead VSWAP file, but this is and the sum of the other disks is relatively small at about 500MB. These will be placed in the ClonePrepReplicaVMFolder. Something you’ll notice with the parent VM is that it will use 100% of it’s allocated memory which all also cause a vCenter alarm. We are finally ready to fork! Horizon will create the Instant Clones based on the provisioning settings, which can be all up front or on-demand. Instant Clones will have a VSWAP file equal to the size of the vMEM minus any reservations set on the Gold Master, plus a differencing disk. The amount of growth for the differencing disk will depend in how much is written to the local VM during the user’s session but is deleted on logoff. When running View Planner tests this grew to about 500MB, which was the same as when using View Planner for Linked Clones. The provisioning of Instant Clones will be FAST and you’ll see MUCH MUCH lower resource utilisation of your vCenter Server and less IO on your disk subsystem as there is no boot storm from the VMs powering on. Instant Clones are a great new feature in Horizon 7 that take the concept of Linked-Clones on-step further. They bring the advantageous of reducing boot storms, decreasing provisioning times and change windows as well as bringing savings to store utilisation. Instant Clones introduce a number of new objects called Replicas, Parents and Templates so it is important to understand how these are structured and their relationships to plan your environment accordingly. I’ll spoil the ending for skim readers, App Vol 2.10 requires vSphere 6.0 Update 1a or vSphere 5.5 Update 4 (not yet released) for Writeable Volume vMotion support AND you must set a environment variable on your App Volume Managers (see below). For those with a bit more time I’ll go into more detail. If you have been using App Volumes prior to the 2.10 release you would’ve almost certainly come up against the Writeable Volume vMotion problem. This is documented in VMware KB 2116782. A typical workaround (particuarly for floating pools) was to put DRS into manual mode and to monitor the hosts for resource utilisation. App Volumes 2.10 added vMotion support but there was a very specific caveat that many people I have spoken to have missed. Although it is clearly documented in the release notes , I’m sure we are all guilty at times of not fully reading all documentation before rolling out the update. For vMotion support App Volumes 2.10 requires vSphere 6.0 Update 1a or vSphere 5.5 Update 4, however at the time of writing vSphere 5.5 Update 4 has not yet been released. The reason for this is App Volumes required an additional flag which needed to be implemented into vSphere which has been done in these versions. The second requirement is a system environment variable must be added to all App Volumes managers within the App Volumes cluster to enable vMotion support. The variable is AVM_PROTECT_VOLUMES=”1″. This variable should only be set if ALL of your vSphere hosts meet the above version requirements. If you have mixed versions of hosts then we can’t guarantee that things will not break if you set this variable to enable vMotion support. Secondly if you don’t set it on all of your App Volumes Managers I am not certain of the behaviour… feel free to test in a lab, but if you want to stay in a supported configuration then set the variable on all of your servers. So it’s excellent that App Volumes 2.10 now supports vMotion for Writeable Volumes, but be aware of the requirements before installing the update and then scratching your head. I have often been asked about memory reservations in Horizon deployments. People want to know how much should they reserve and what are the impacts, so I thought I’d write up something to clarify this. Until the virtual machines accesses its full reservation, VMkernel can allocate any unused portion of its reservation to other virtual machines. However, after the guest’s workload increases and it consumes its full reservation, it is allowed to keep this memory. For server workloads that are rarely power cycled this is likely to have little impact, but with desktops this may have an overall impact as depending on their power policy there may be machines being powered off, or rebooted with some frequency which means their full reservation may not be allocated. The next thing we need to look at is the effect of memory reservations on the VSWAP file. So a VM with 4GB of vMEM with a 2GB Memory reservation would have a 2GB VSWAP file. 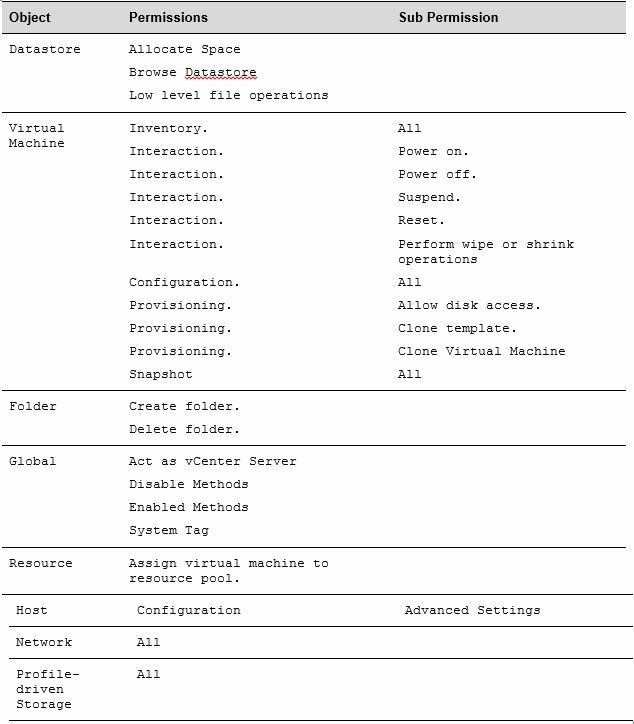 There is also a VSWAP file for the virtual machine overhead, which whilst important to consider for capacity planning is not a part of this discussion. By having a VSWAP file available to each VM for the unreserved portion of the memory, vSphere can overallocate memory and if it becomes memory constrained then pages can be swapped to disk. This can have a major impact on performance so we need to understand when this will occur. vSphere has a number of memory management techniques available to it that range in their performance impacts to the guests including transparent page sharing, memory compression, ballooning and vswapping. Vswapping considered to be the most expensive form of memory management because the hypervisor does not have knowledge of which pages files an application needs to have quick access too, so it will not using the VSWAP file until it is under extreme memory pressure. 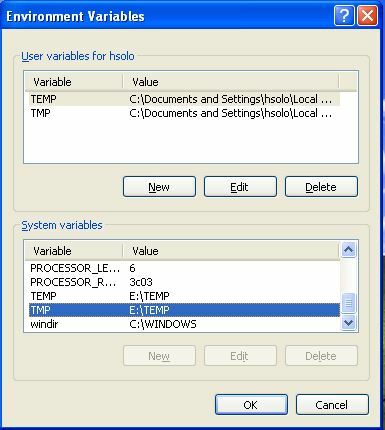 The decision on what to set a VSWAP file to has a few considerations. Firstly comes memory sizing, if you are sizing your hosts to have enough memory for all of the VMs it is hosting then there is no reason (unless you want to buy more disk) not to use 100% memory reservations. So if you have 4GB per VM of vMEM, you’re planning to run 100 VMs on each host and your hosts have greater than 400GB of RAM, then use a 100% reservation. If however you are assuming that the VMs may only use on average 70% of their allocated 4GB you may choose to size your hosts with less physical memory. In this instance 100% memory reservation would not be suitable and you would want to start lower. I find typically a 50% reservation is a good balance, if you don’t have 50% of the memory available for the planned amount of VMs then review your parent image sizing! In a VDI environment the VSWAP used to be used when RAM was very expensive and storage was much cheaper, but in today’s market many architects are choosing to use All-Flash solutions where allocating 400GB of diskspace for 100 VMs to a VSWAP file that will never be used is just not cost-effective and servers are shipping with much more RAM than they used to allowing for less reliance on memory management such as TPS and VSwapping. Start with a minimum of 50% memory reservation to reduce your storage utilisation and the adjust from there based on the sizing of your physical memory in your hosts. vSphere 6 just launched along with a number of supporting products. More quietly View 6.1 was released however you my have trouble finding it on the download page. Along with the release there has been a slight name change of View. When VMware released View 6 the name was changed to “Horizon (with View)” and now with 6.1 it has changed to simply “Horizon”. Of course the View name will live likely live on in documentation and product settings for sometime. So if you want to try out the new version of View….errr… I mean Horizon release then go on to the VMware Download page and look for Horizon 6. The first step in preparing for any exam is figuring out what you don’t know. I have a technique that I’ve used for many years, first I get a copy of the exam blueprint and then map it out to a spreadsheet. I go through and rank myself 1 to 3, with 1 meaning I have no idea about the topic and 3 is I know it with absolute confidence so will not spend anytime studying it and 2 is I know a bit about it, but need to learn more. I’ve attached the spreadsheet for the VCP6-DT, fill in the Assessment column and it’ll average out your score for each section and the total. I aim to knock out as many 1’s as possible before trying to turn some 2’s into 3’s. Prep time is always limited, and there is an old saying “anything over the passing mark means you studied too much”. The pass mark is 60% so don’t try and get all 3’s. Once you hit an average of about 2/3 look to book your exam, then if can getup to a 2.5 average on that spreadsheet by exam day, you won’t have a problem passing. If you don’t have an existing VCP cert, then you will need to do a course. I’d highly recommend the Mirage and View Fast Track as this will cover two of the products covered in the exam. If you already have a VCP, then the course is not required so see how you rank against the blueprint and decide if you need to do a course to pass. Personally I think better on a full stomach so I always book my exams for 9am or 1pm, this one was at 1pm. I find it’s more important for the longer exams but I still do it for the shorter exams. You are provided with a lamented piece of paper for notes, when there used to be lots of maximums or command lines to remember I’d write them down as soon as I got in, but that’s not really necessary anymore. If there is anything you want to remember then this is the time to write it down. The exam is 120 minutes and 135 questions. So yes, that is less than 1 minute per question but the questions are short, and if you’ve prepped I’d say about 50% of questions you should be able to put an answer down within a few seconds. If you are unsure it’s usually best to go through a process of elimination. There is usually one answer that is completely wrong, and another that might be related but clearly not correct. This typically leaves 2 answers, giving you a 50/50 chance – if you’ve done your prep then that’ll skew your result just enough (remember we are aiming for 60% here). I remember my old maths teacher saying “75% of the time your first impression on a multiple choice is correct”. My personal tactic is to attempt to answer the question, and mark it for review. At the end of the exam I go back through the the questions I’ve marked for review and now I need to convince myself that my answer was wrong before I change it – I find I rarely change them. The blueprint primarily focuses on View, but to pass I’d suggest you’d need to be proficient in at least 2/4 of the additional products. If your skills are weak in one of the other products such as Mirage or Workspace, then you’ll probably be fine as long as your View skills are strong and you have some skills in the other areas. Utilizing the disposable disk allows you to redirect transient paging and temporary file operations to a VMDK hosted on an alternate datastore. When the virtual machine is powered off, these disposable disks are deleted. What is redirected to the disposable disk? Where are disposable disks hosted? When are disposable disks deleted/refreshed? This is quite important to understand, as if the Pool Power Policy is set to any of the other settings (Powered On, Do Nothing or Suspend) then your disposable disks are not getting refreshed automatically. What does all this mean? Understanding Disposable Disks and their functionality will enable you to design your environment appropriately. 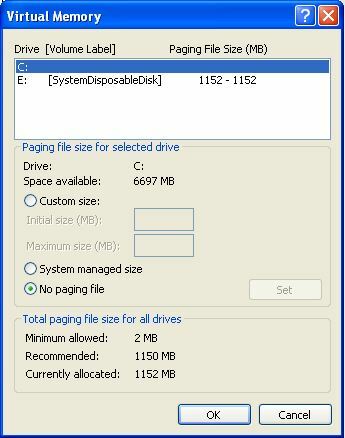 The View Storage Reclamation Feature that was introduced in View 5.2 uses an SE Sparse disk for the OS Disk, this allows View to shrink OS disks if files are deleted from within the OS. However only the OS disk is created as an SE Sparse disk, User Data Disks and Disposable Disks are created as a standard VMDK. The key difference with this feature compared with Disposable Disks, is it relies on files being deleted from within the Guest Operating System, where as the Disposable Disk is deleted along with all the files it contains when View powers off the VM. It is also important to note, that currently SE Sparse disks are not supported on VSAN. If you choose to use Disposable Disks in your design, then depending on your power cycle you may want to add an operational task for administrators to periodically change the Power On setting for the pool to “Power Off” within a maintenance window to refresh the Disposable Disk. This is particularly important for the use case of Persistent Desktops which have long refresh/recompose cycles.